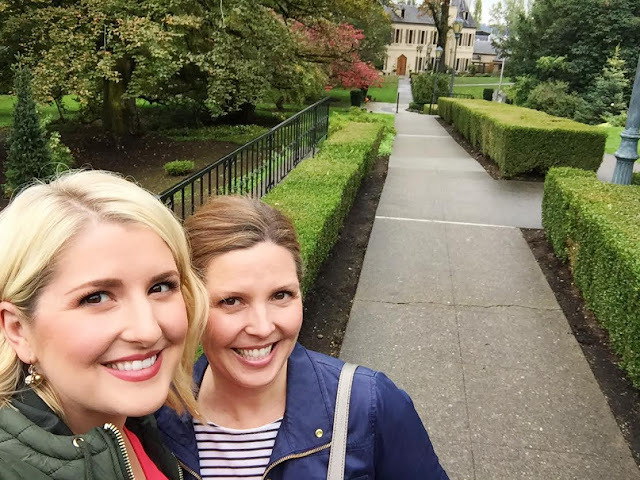 My sister came to visit last weekend. She lives in Arizona, and is a landscape designer/gardener extraordinaire (do you see the irony? 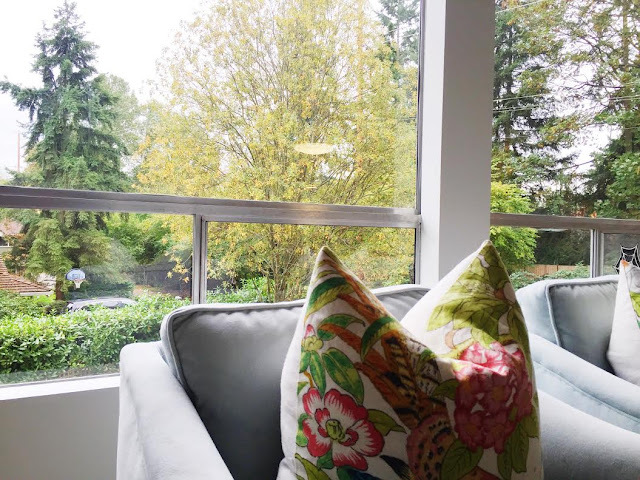 ), so we spent most of the time looking at gorgeous neighborhoods (like Medina, my favorite horse properties in Sammamish and lake-front houses in Kirkland) and enjoying all the fresh flowers and gardens that our area has to offer. Since it is still 1,000,000 degrees in Phoenix, she loved seeing some fall colors and getting her fix of crisp autumn weather. She's helping me with our yard design so I took her to Chateau Ste. Michelle and we walked around and discussed ideas. These are the things we do in my family! 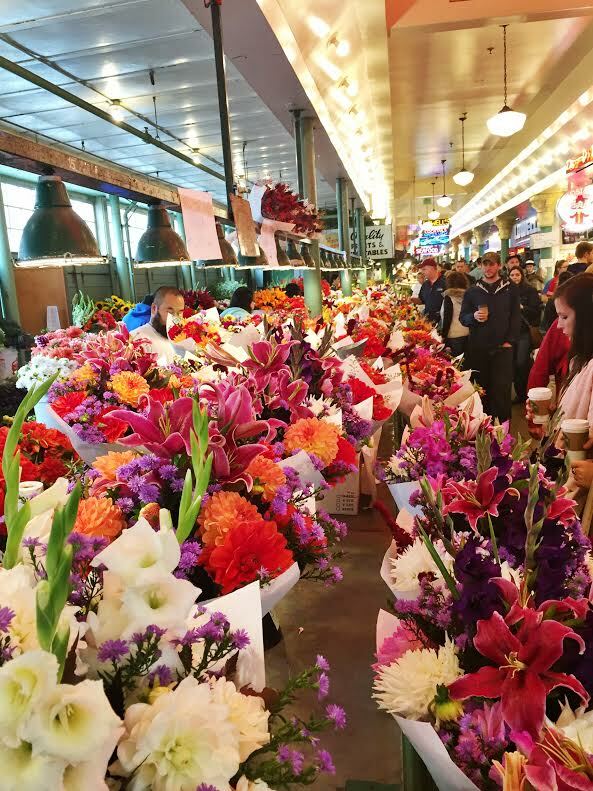 Of course, what kind of hostess would I be without taking my guests to Pike Place? In October, the dahlias are KILLING it! I can pick up a bouquet like one of these all around the city for $5-10. It's super dreamy. We love visitors! 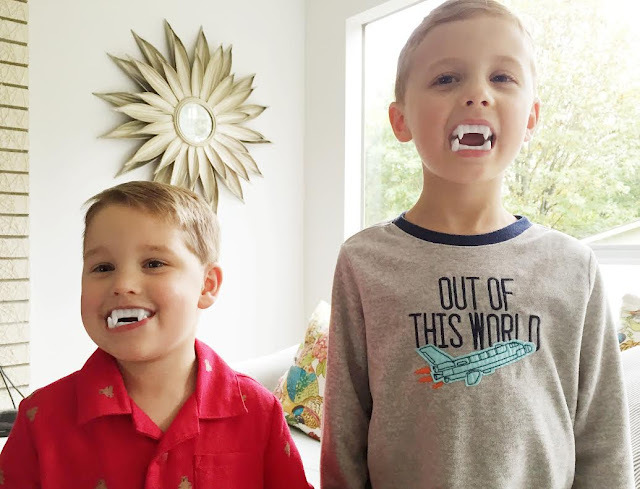 My in-laws sent a box of Halloween goodies for the kids and these vampire teeth were a hit! It's pretty funny seeing Fritz, especially, with all those teeth. Haha! He and William were going around saying, "Blah blah blah" and making David and me laugh. I love the view from our living room floor. 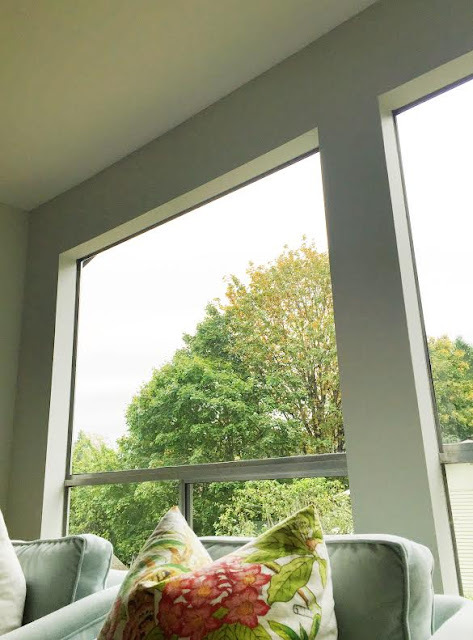 I tend to sit on the floor a lot with the kids during the day and we have so many trees out of our front windows. Since we're in a split level, the upper level (main living area) feels like we're in a tree house from this view. These pictures aren't great but the big trees are changing color and will drop their leaves this winter, but since this is the Emerald City, most of the trees stay green (hence the "evergreen state" nickname). Then in the spring, the tree out front is filled with blossoms. I love it! Also, we are excited to someday get new windows! I didn't know windows were so expensive until we bought a house. The joys of renovating an older home! Poor Fritzy. It's rough being a "threenager". 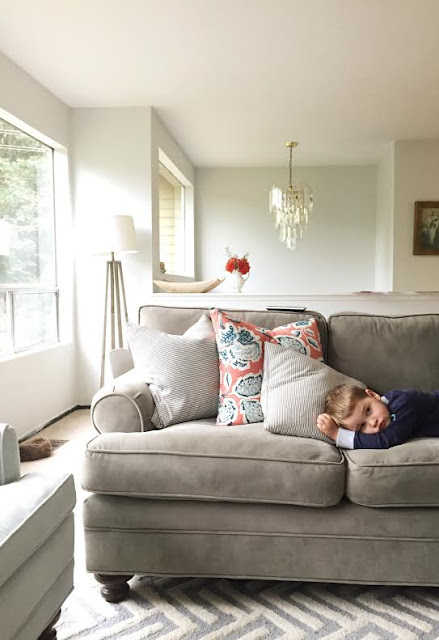 He desperately needs a nap every day but I don't have an hour and a half every afternoon to devote to getting him to sleep (and sometimes I try for that long, just to have him refuse and then fall asleep in the car later at 5:00 PM - grrrrr). Most days, I just give him "quiet time" by letting him watch a movie on the couch and he almost always falls asleep. This boy is such a joy and really gives me a run for my money. He is pretty obvious with his love language of quality time. You can count on him losing it if he has to ask more than once for attention (middle child syndrome?). I'm trying to be better about doing Mommy Time with him in the mornings while William is at school. He's such a sweet boy and I hope that I am doing right by him as his mom. It looks like you and Helena had a glorious time! !